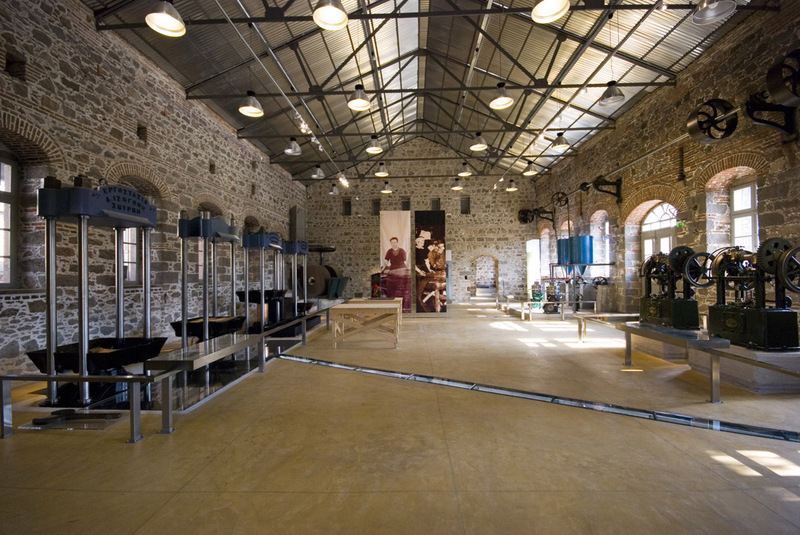 The Museum of Industrial Olive-Oil Production of Lesvos presents the industrial phase of olive-oil production in Greece. It focuses on the changes brought about by the introduction of mechanical motion on the process of olive-oil production and approaches the contribution of the region's inhabitants to the production process with sensitivity. 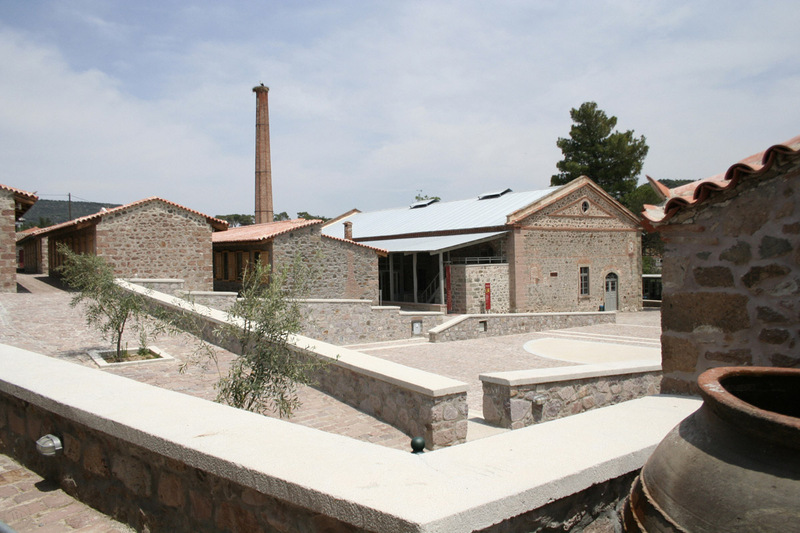 Its objective is to showcase our industrial heritage in the sector of olive-oil production and incorporate it into the broader architectural, social and cultural context of the period. 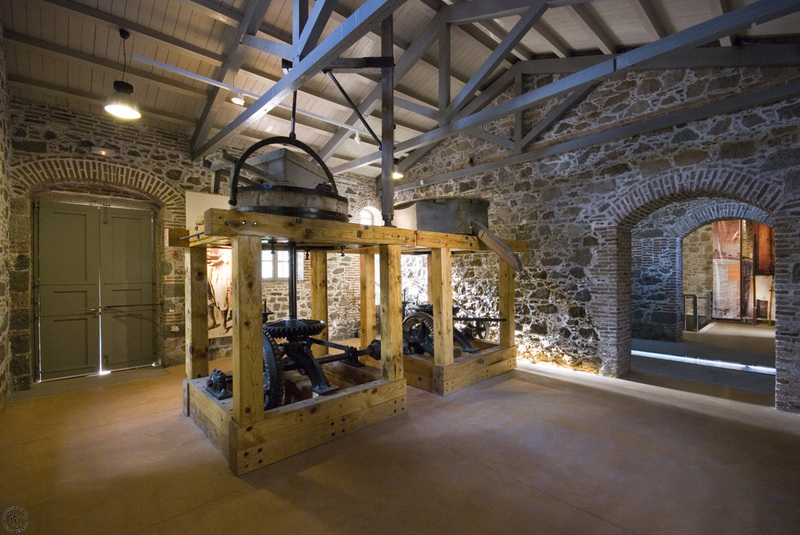 The Museum is housed in the old communal olive press of Aghia Paraskevi on the island of Lesvos. 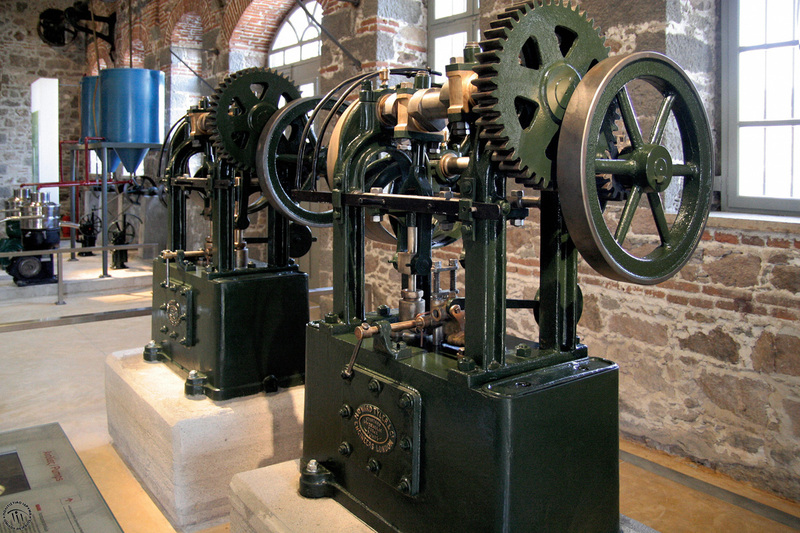 The buildings and the mechanical equipment have been restored in an exemplary fashion. Thus, you can observe how the equipment functions and how the factory evolved from steam power to diesel engine operation. At the same time, you will acquaint yourselves with daily life at the «People's Machine». In the main building, you will familiarize yourselves with the basic stages of olive-oil production: crushing the olives, compressing the olive pulp and separating the olive oil from the water. You will also see the flourmill, which functioned in a complementary manner during the summer months when the olive press was out of use. Professions and activities linked to the production of olive oil. 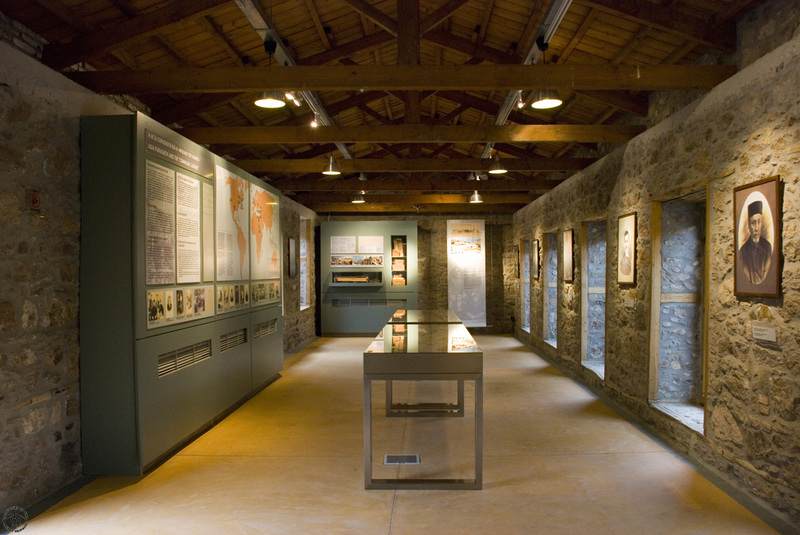 Lastly, you will learn the history of the «People's Machine», the communal olive press of Aghia Paraskevi and realize how pioneering for its times the process of communal property was and what its repercussion was on the region's social fabric and economic structures. 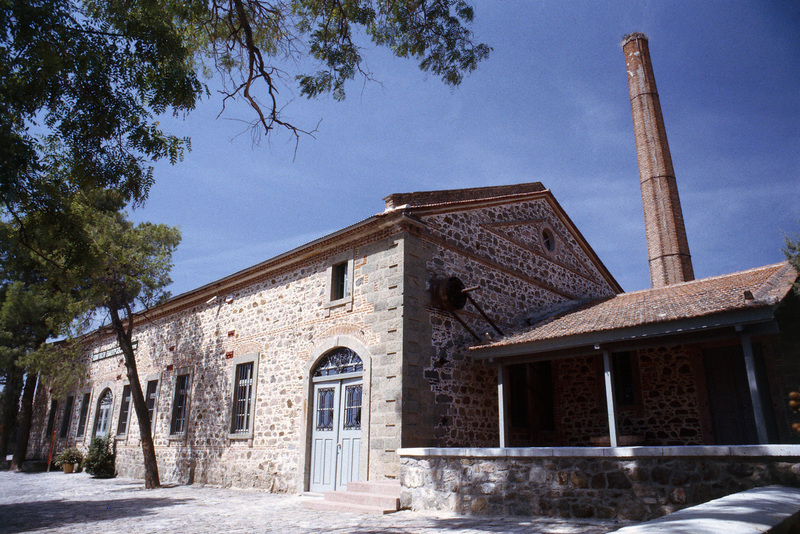 Young visitors will hear the factory's μπουρού whistle, calling the workmen to work. They will watch the machines in operation and will find digital productions showing the stages of olive-oil production («From the Olive to Oil» and «From Water to Water»). They will play with the multimedia application «The People's Machine», learning about the functioning of the factory's machinery. Also, they will better understand how the quality of olive oil is checked by carrying out an acidimetry experiment. 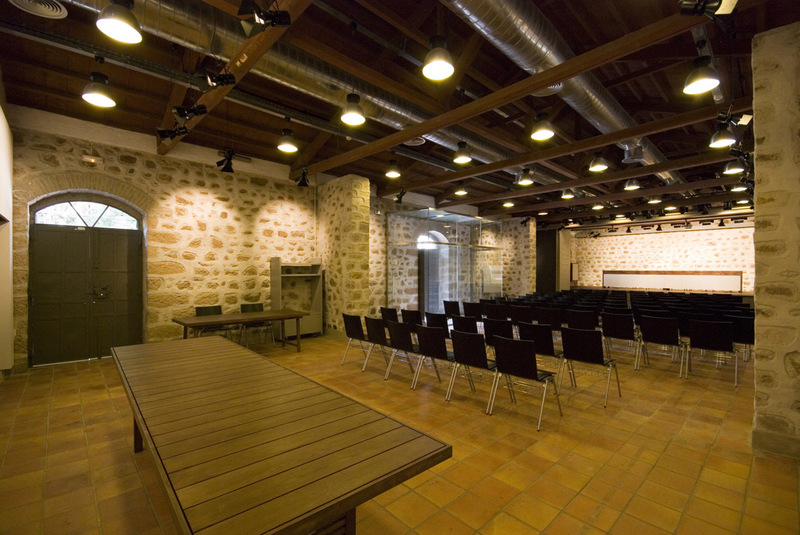 The Museum organizes educational programmes with games and activities, for schools and group visits, such as the programme «From the olive to olive oil», where the children acquire an understanding of the process of olive-oil production at the factory. 2. By car, via the Mytilene-Kalloni National Road.